Dr. Li is a Research Scientist III at the Center for Integrative Petroleum Research. 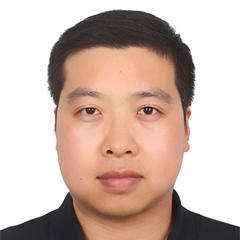 Before joining KFUPM, he was a postdoctoral researcher at Petroleum Exploration & Production Research Institute, SinoPEC from 2015 to 2018. His research mainly contains seismic moment tensor forward modelling and inversion using elastic wave equation and Mathematical Morphology applied on seismic data processing. Huang W., R. Wang, Li and Y. Chen, 2017, Unveiling the signals from extremely noisy microseismic data for high-resolution hydraulic fracturing monitoring, Scientific Reports, 7(1):11996.